Muse are an alternative rock band from Teignmouth, England, United Kingdom. The band consists of Matthew Bellamy on lead vocals, piano, keyboard and guitar, Chris Wolstenholme on backing vocals and bass guitar, and Dominic Howard on drums and percussion. They have been friends since their formation in early 1994 and changed band names a number of times (such as Gothic Plague, Fixed Penalty, and Rocket Baby Dolls) before adopting the name Muse. Since the release of their fourth album, Morgan Nicholls has also appeared with the band at live performances to provide keyboards, samples/synth, and backing vocals. Their sound is a blend of alternative rock, classical music, electronica, metal, spanish guitars, and progressive rock. Usually they use the bass line as the driving force, often with the guitar providing only an extra layer to the song rather than carrying the melody, the bass has distortion and other effects applied to it to achieve a greater weight, allowing the guitar to digress from the main tune and play higher notes. Another peculiarity is Muse´s piano style in many of their songs; their music has been inspired by the works of Romantic pianist-composers such as Rachmaninoff, Tchaikovsky and Liszt, and has thus resulted in a fusion of Romantic style with modern rock. The band are known for their energetic live performances and front man Matthew Bellamy's eccentric and avid interests in global conspiracy, extraterrestrial life, theology and the apocalypse (as much as in Space and theoretical physics). Their lyrical themes involve madcap conspiracy theory, revolutionary rabble-rousing, weird stuff about aliens (or Zetas, if you please), religions and other such classic Muse concerns. In general their music and lyrics gaze on helplessly at the subjugation of humanity by corrupt world leaders and encroaching environmental or galactic disasters (and certainly their fourth album 'Black Holes And Revelations' has its fair share of climate change/oil crisis/global inflagration paranoia). In October 1999, Muse released their first full length LP; 'Showbiz'. 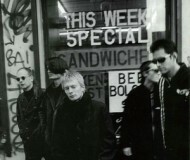 The album received mixed reviews among critics, and music fans, labeling the band as 'Radiohead copycats'. This, however, did not stop the album from selling over 700,000 copies, with success coming from singles; Unintended and Muscle Museum. The album also earned Muse a nomination at the 2000 BRIT Awards, for Best New Act. 2001, with John Leckie behind the desk again, saw the release of Origin of Symmetry along with Top 20 entries for Plug in Baby and New Born. The album went unreleased in the United States until 2005 because their record label at the time, Madonna's Maverick, allegedly thought the falsetto vocals would discourage radio play and wanted the band to re-record alternate vocals. The band refused, and terminated its contract with Maverick. Muse followed up with a b-side/live CD/DVD named Hullabaloo Soundtrack, showcasing the band's concert from France in late 2001. 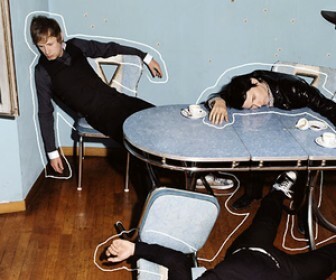 To promote the album, Muse also released the Dead Star/In Your World EP, which charted high in the UK charts and proving Muse could also write "radio-friendly" rock tunes, as well as the 7 minute long epics on Origin of Symmetry. Muse polished off their impressive year by winning Best Live Band at the 2002 Kerrang! Awards. In 2003, Muse asked Rich Costey to step behind the desk to help create Absolution. The album had very strong sales all over the world, and helped the band achieve their first UK number 1 album. Its release was preceded by a download-only single and online video for the song Stockholm Syndrome. Followed by the singles Time is Running Out and Hysteria, which charted well in the UK charts and helped Muse secure a headline spot at the 2004 Glastonbury Festival. Glastonbury saw Muse storm troop onto the high table of classic Glastonbury headline acts and prove themselves a formidable force in British rock. Although many had their doubts at putting Muse on the bill with names such as Paul McCartney, Muse proved them all wrong and played what Bellamy described as "the best gig of our lives." It was only with that triumph fresh in their throats, they claim, that they realised they'd 'made it'. However tragedy struck just shortly after Muse came off stage when Dom Howard's father (a big Muse fan) collapsed after witnessing his son play and died on the site. Later that year, Muse toured the US, promoting Absolution, before returning home to play two sell-out gigs at London's Earls Court at the end of the year. With the LP, the band secured their second UK album chart number one, whilst reaching the top spot in several other countries, as well as a Top 10 in the US billboard chart. The controversial single Supermassive Black Hole became Muse's highest UK entry in the charts, reaching number four, and also scored high entries in other countries. 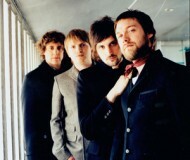 The album's second single, Starlight, reached number 13 in the UK charts in September 2006. The 3rd UK single was fan-favourite Knights of Cydonia, released on November 27th, and it reached number 10 in the UK charts. The 4th single from Black Holes & Revelations was Invincible, and was released April 15th 2007. 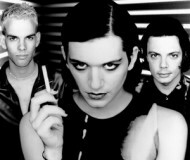 It entered the UK singles chart at 21st place, and was the first single from the new album not to enter in the Top 20. 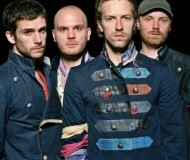 On November 2, 2006, the band won an award for Best Alternative Act at the annual MTV EMA in Copenhagen. Muse were also named 'Best Live Act' at the Brit Awards in 2006 and have retained the title in 2007. Two of the album's singles reached the highest US Modern Rock chart positions in the band's career during 2007: Starlight reached #2 in February 2007, and the all-falsetto Supermassive Black Hole reached #6 in October. 2007 also saw the band play to sellouts at Madison Square Garden and the Forum in Los Angeles, as well as headlining Austin City Limits Festival and Lollapalooza. Even when the band says they do not see themselves as a massive stadium band, their headline concert on June 16th 2007, at the rebuilt Wembley Stadium, sold out in 45 minutes six months before the gig and the band had to add a second show on June 17, where they proved to be more than worthy of stadium gigs. The Wembley gigs became two of the biggest hyped concerts of 2007. Already the gigs have been compared by music journalists to Live Aid and Queen gigs, also performed on the "Hallowed Ground." The band's next release, HAARP: Live from Wembley, is expected to be made up of footage from the June 17th show. In July 2007, Bellamy confirmed that he had begun to work on a new studio album and new songs, some more in line with electronic or "dance" music and others more with classical or symphonic music. 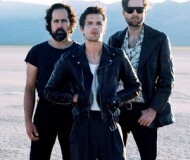 In January 2008 the song "Knights of Cydonia" was voted number 1 on the Triple J Hottest 100, Australia's biggest annual alternative music countdown. In 2009, the band released The Resistance, which contained the successful single "Uprising", the band's first Top 40 pop hit in the United States (achieving this with very little radio airplay) and their first #1 on the Billboard Modern Rock Chart. Followup singles "Resistance" and "Undisclosed Desires" also proved successful. The band's sixth album, The 2nd Law, was released on 1 October 2012. 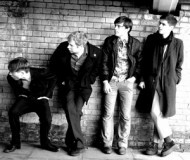 The album's first single, "Survival", is the official song of the 2012 Summer Olympics in London. The second single, "Madness" was released on 20 August 2012. The third single, "Follow Me" was released on 7 December 2012, with an accompanying lyrics video released on the band's YouTube channel on 1 November 2012. 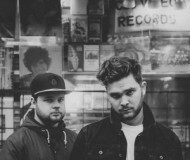 The album has recieved generally positive reviews, with Allmusic noting "their excursions into dubstep and dance music on tracks like "Madness" and "Follow Me" feel more like remixes than original songs." Their latest album Drones was released on June 5 2015, an album where they returned to their more natural rock roots. A worldwide tour was launched in support of the album. The band made use of a 360 degree stage so arenas would be utilized in full, actual flying drones and invisible curtains, and so the tour received numerous praise. In early 2016, Muse won the Grammy Award for Best Rock Album and following the award, it was revealed they were set to headline Glastonbury Festival in the same year, making it their third time to do so. By the end of the tour, Muse won the Q Award for Best Act in the World Today. 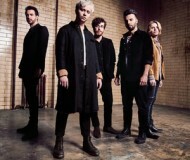 In early 2017, the band announced a short North American Ampitheatre tour with support from Thirty Seconds to Mars and PVRIS. "Dig Down", a single from their forthcoming album, was released on May 18, 2017. On July 4, 2017, it was announced that the band would hold a concert at Shepherd's Bush Empire in London to raise money for The Passage, a charity for homeless people in the UK. Ticketholders were able to vote for their top 10 Muse songs and the results would curate the setlist for the gig. The setlist for the night featured rarities, songs which hadn't been played in several years. After that, the band headlined Tennant's Vital, Reading & Leeds Festival. The band invited Brian Johnson, vocalist of AC/DC to play Back in Black in Reading, making the closing set for the festival memorable. After finishing the shows in the UK, Muse headed back to the US to finish off the North American tour and headline more festivals. After that, the band headed to Japan and Australia to play two one-off arena shows. The band is now in the progress of recording their new album which is set to be released this 2018, and has announced last December 2017 that a new single, "Thought Contagion" might be released around January or February this year.